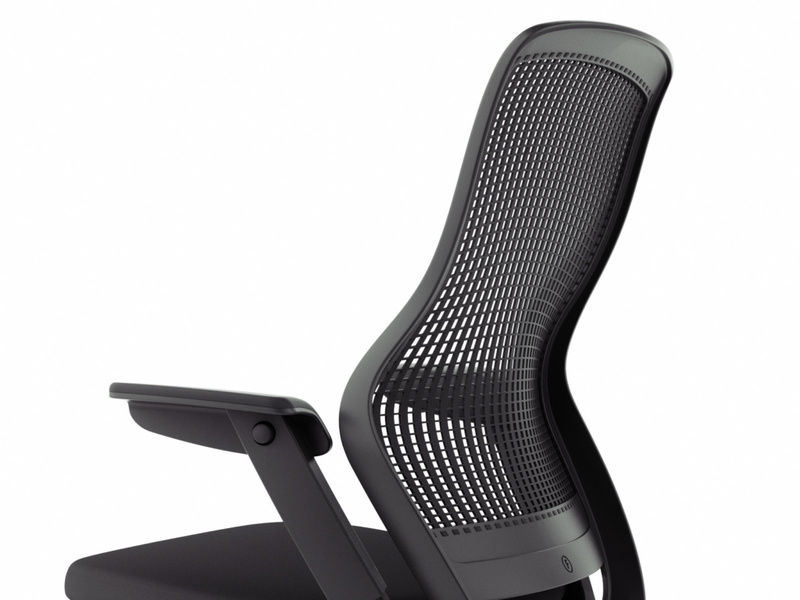 The Knoll Regeneration chair takes elements from the Generation chair and applies them in a simpler manner. The main rigid components are all made from the same polymer, the Hytrel back skin exists only where it is needed to support the user. 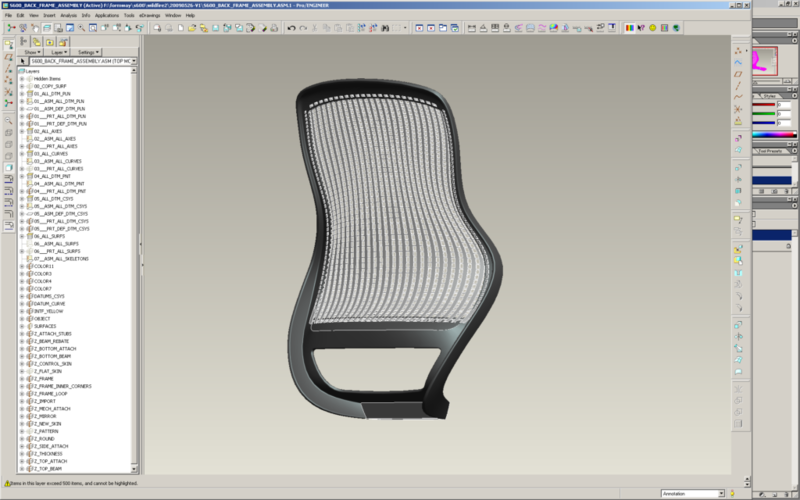 Formway engaged AJ Design Studio to help develop some of the chair components in 3D alongside the engineers working on the mechanism. 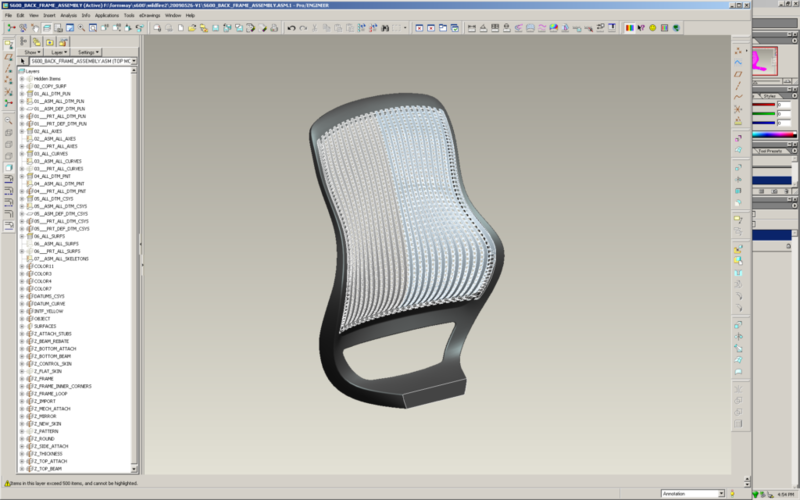 The chair back frame and skin were developed in Pro Engineer, with iterations being tested by using FEA to confirm the mechanical performance while meeting aesthetic requirements. The back frame had to be flexible enough to move with the user, but not so flexible it would break. The back skin is a much simpler design than that of its predecessor, the Generation. The skin does not return around the frame edge, nor does it have a non stretched element across the rear. The Regeneration skin is designed to be held by hooks formed into the back frame. 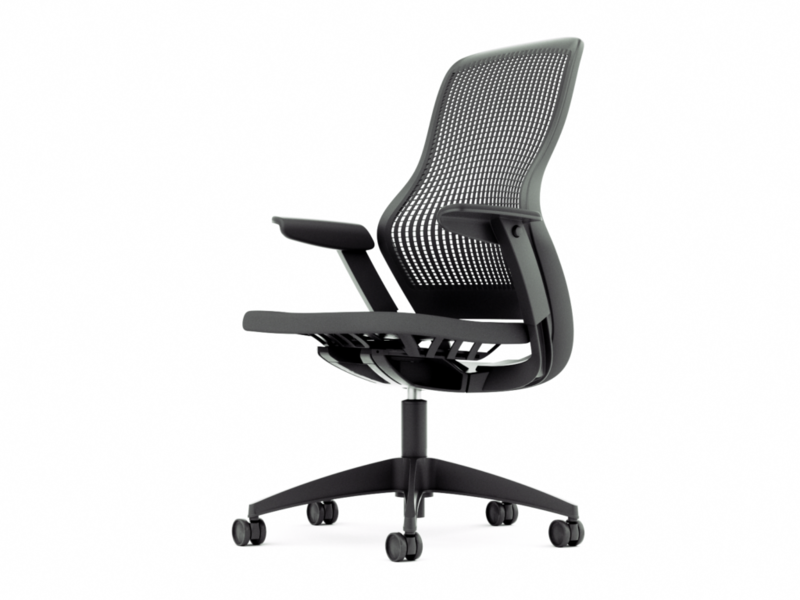 Once the design intent was captured in the CAD model, the development team at Knoll took over to get the parts ready for production.